This Irish costume jewelry pin features an angel who is holding a dangling shamrock. The Irish angel pin is made of gold tone metal and the shamrock is enhanced with green enamel accenting. 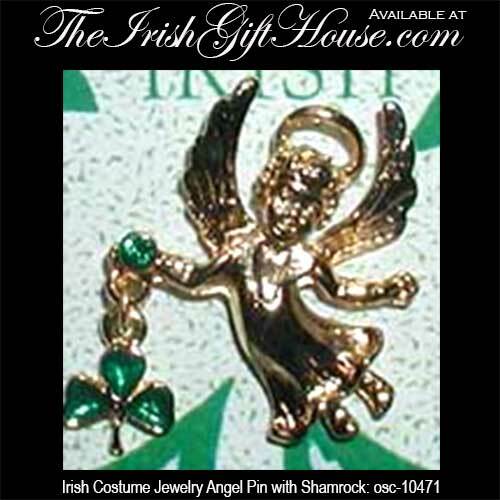 The costume Irish angel pin measures 1" tall and it is complete with a push on butterfly back.